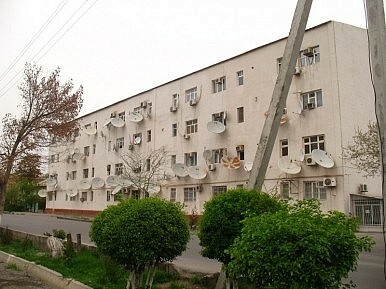 Are Ashgabat’s satellite dishes an eyesore or a lifeline to information? In the past the Turkmen government has shut down cable TV coverage, as it did in 2011 to prevent news of an accidental explosion at Abadan, a city near Ashgabat, from spreading. Neither is this the first time the Turkmen government has engaged in forced removal of equipment it deemed unsightly. Last summer, about 50 residents on a Ashgabat neighborhood protest, blocking cranes sent to remove their window air conditioners. Another small protest happened in late November in response to another attempt. What is Life in the Aralkum Like? One great article and two podcasts you shouldn’t miss. Central Asia links.